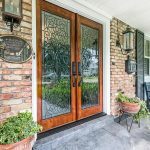 Would you replace these leaded glass doors? 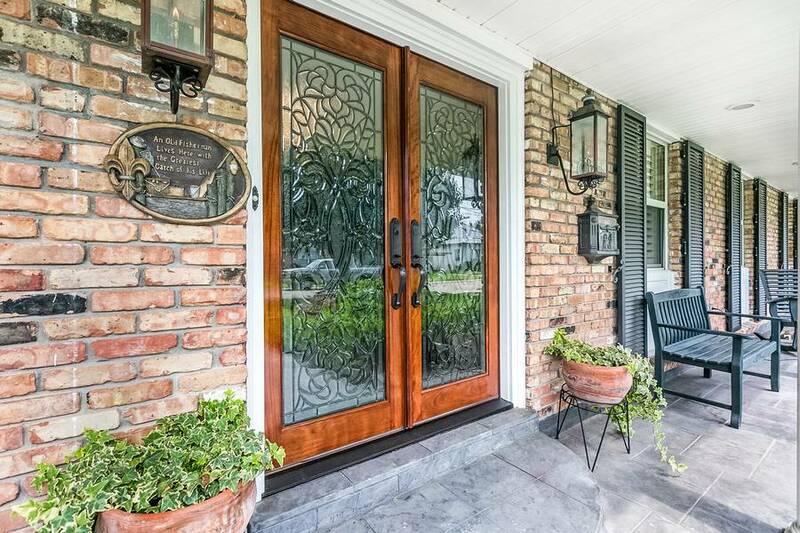 So… why would anyone want to replace these leaded glass doors? 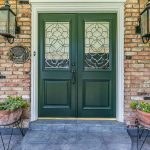 These doors look great because they’ve been beautifully and professionally painted and finished with high-quality paint. 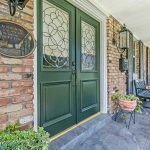 Painted doors are a popular way to add color, but the real reason these doors were painted is because they had been refinished so many times they couldn’t be refinished again! 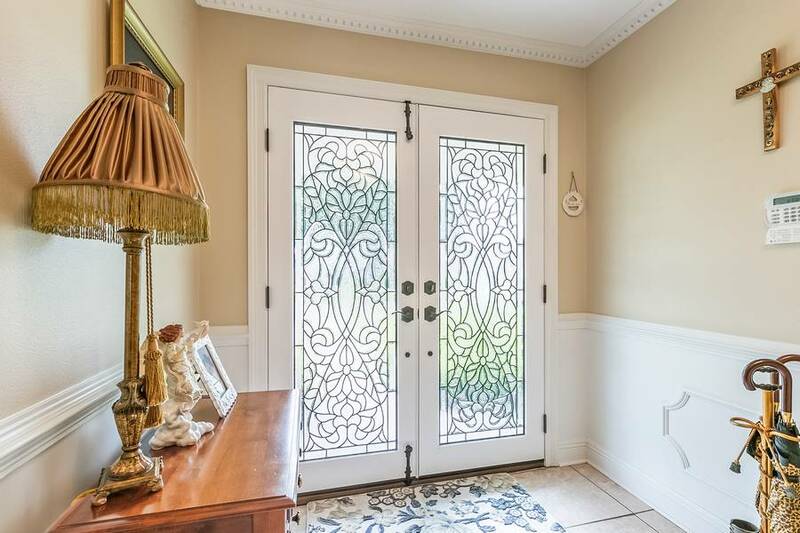 The old doors were also just… old. 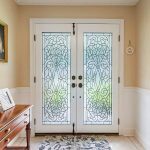 The beautiful leaded glass was only single-paned, which mean you could actually feel the heat or cold from outside seeping through the doors. This was NOT energy efficient! 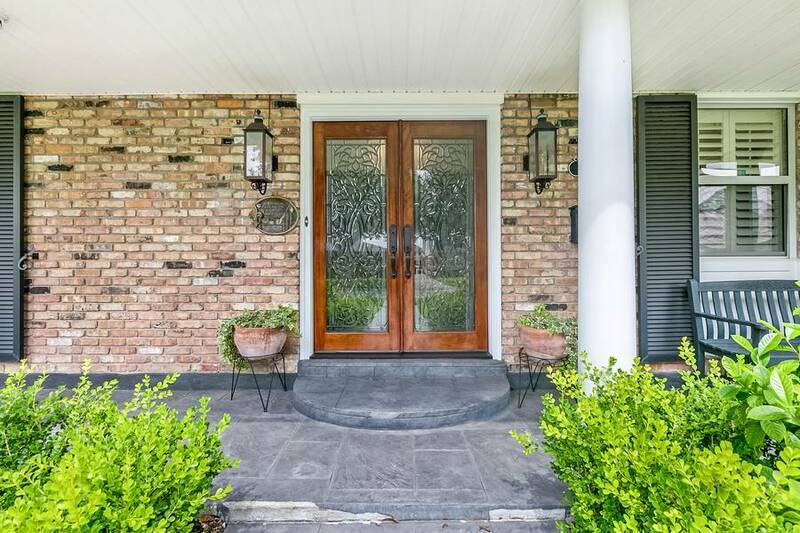 The shades you can see in the original doors were installed to block heat, light, and drafts, because the glass just wasn’t doing enough to keep the New Orleans weather OUTSIDE. Just because your doors look nice enough doesn’t mean they’re doing their job. 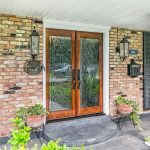 The new doors make a complete transformation! 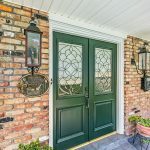 Our clients stayed with the classic leaded glass look they loved with the old doors, but upgraded to insulated beveled glass, which provides excellent energy efficiency. 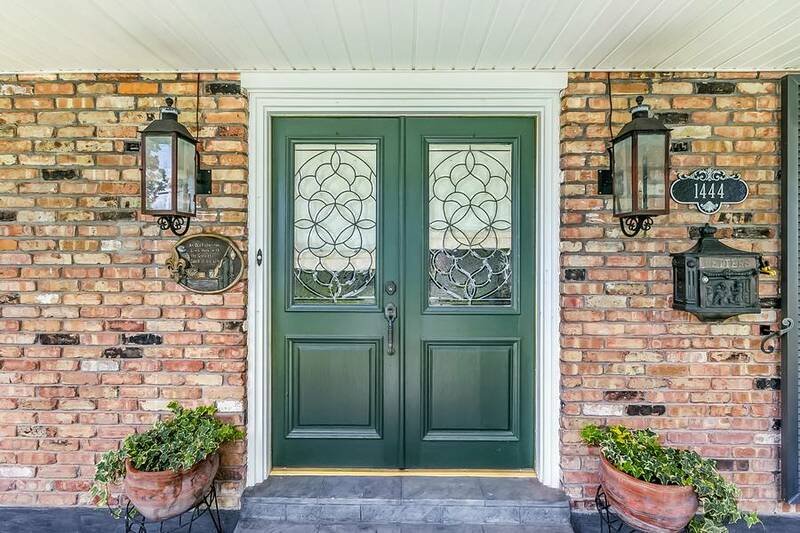 You could immediately feel the temperature difference in the entryway. 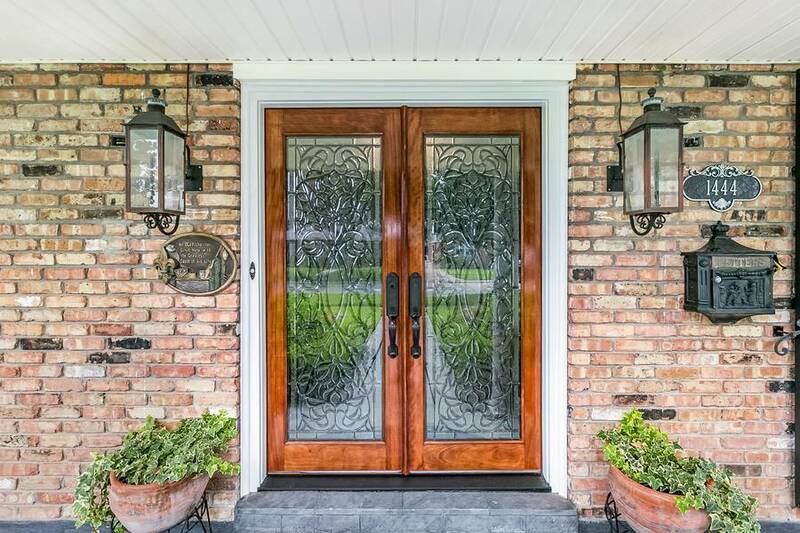 This technology is relatively new, so older doors with glass inserts don’t have it. 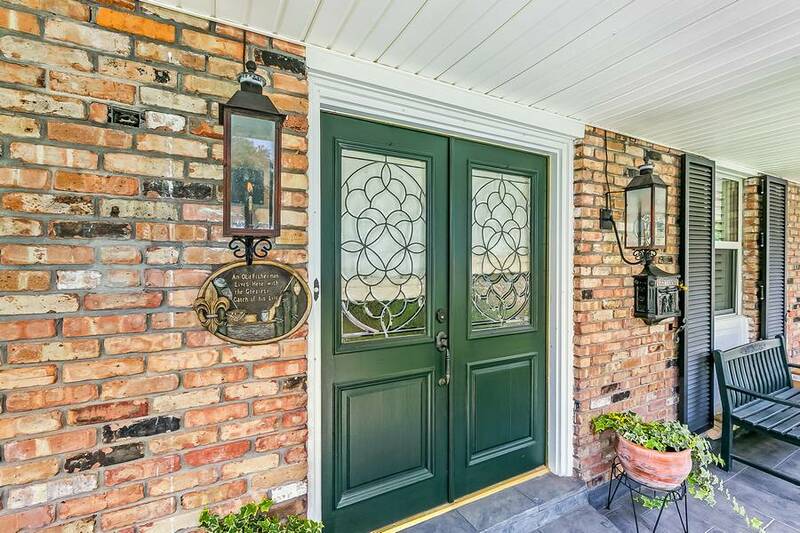 To let the light in, they went with full-light doors for an open, inviting effect. 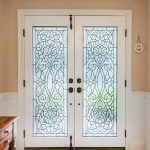 The glass is also semi-opaque, rather than clear, so light comes in while still maintaining privacy. 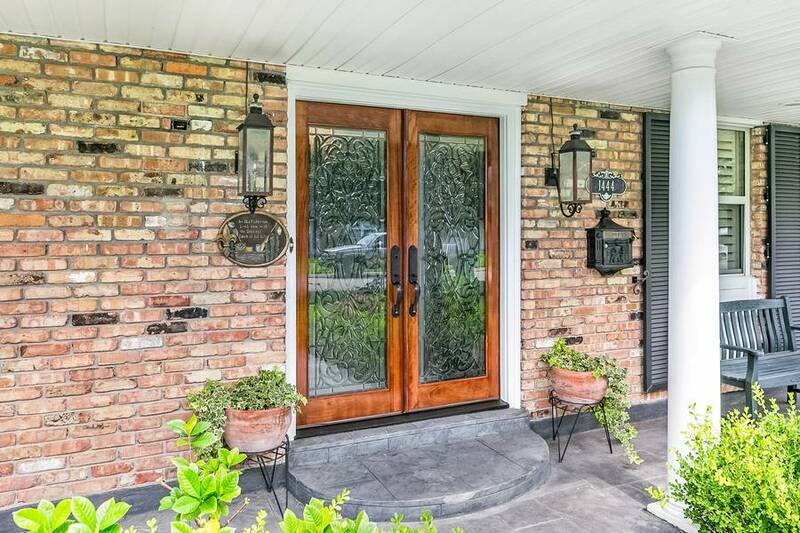 Why have glass doors if you need shades to beat the heat? 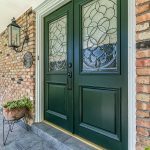 The stained wood and new hardware complete the transformation to an open, bright style that adds energy efficiency to the home with the traditional look of beautiful leaded glass. 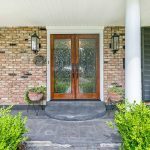 Don’t forget how much a new set of doors can change the INSIDE of your home! 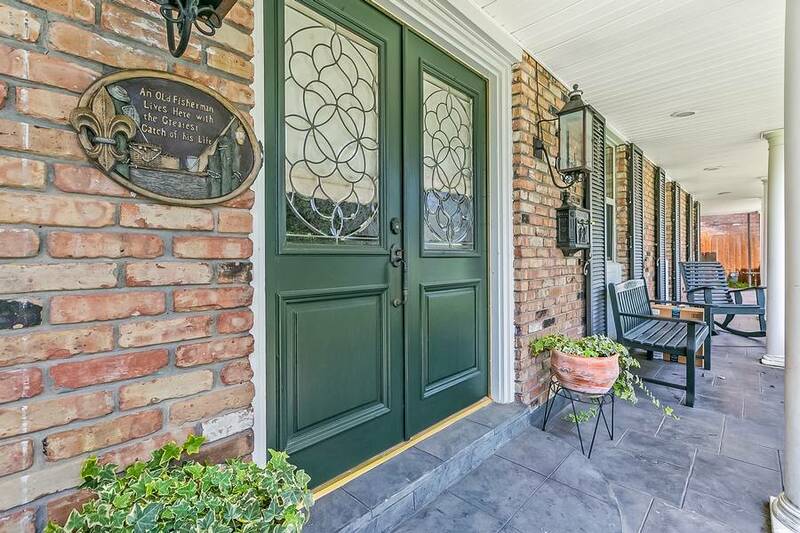 This bright, welcoming foyer makes a huge change from the dark days of the old doors (and those shades). 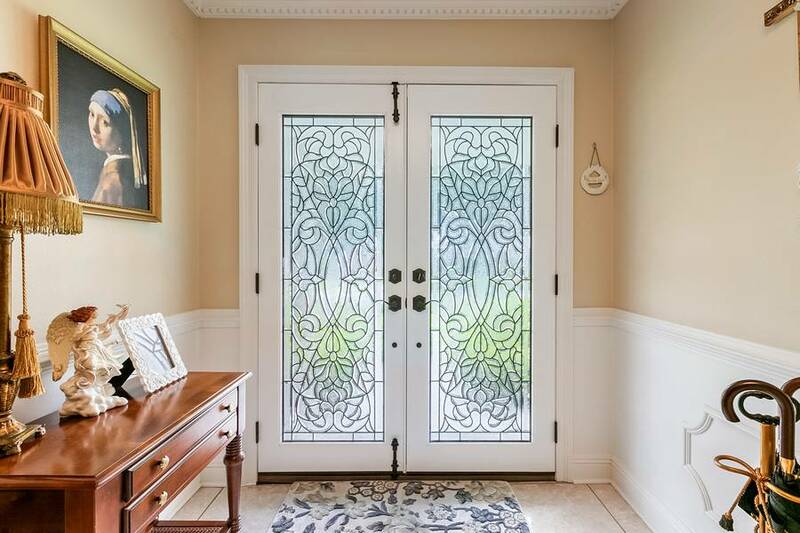 The leaded glass is beautiful feature that also lets the light in, and there’s still plenty of privacy. 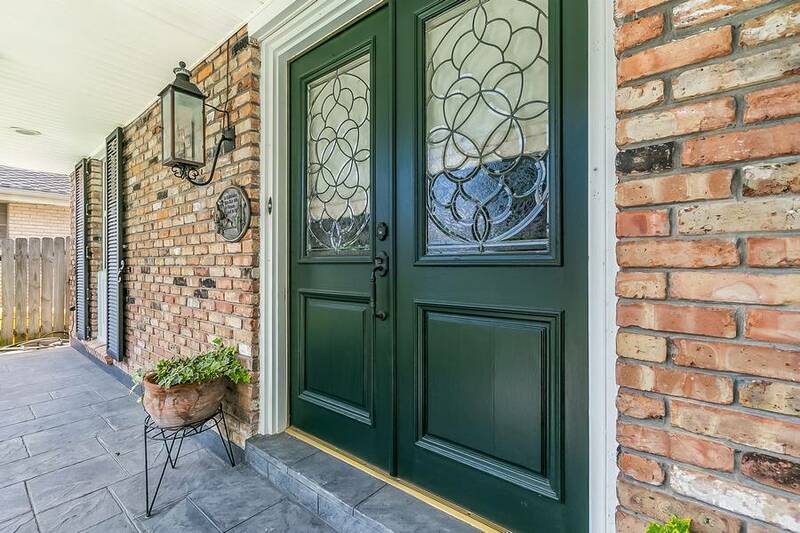 And don’t forget that the insulation in the doors not only regulates temperature, but saves you money on energy bills! 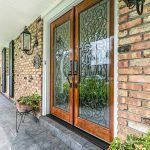 If your doors just aren’t cutting it anymore, Doors of Elegance can help! 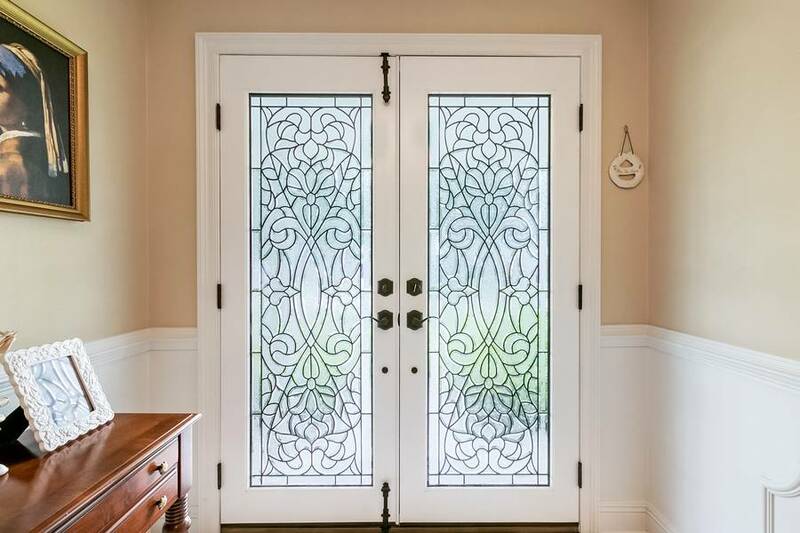 Whether you’re looking for beveled glass, wood, or wrought iron, we can help. 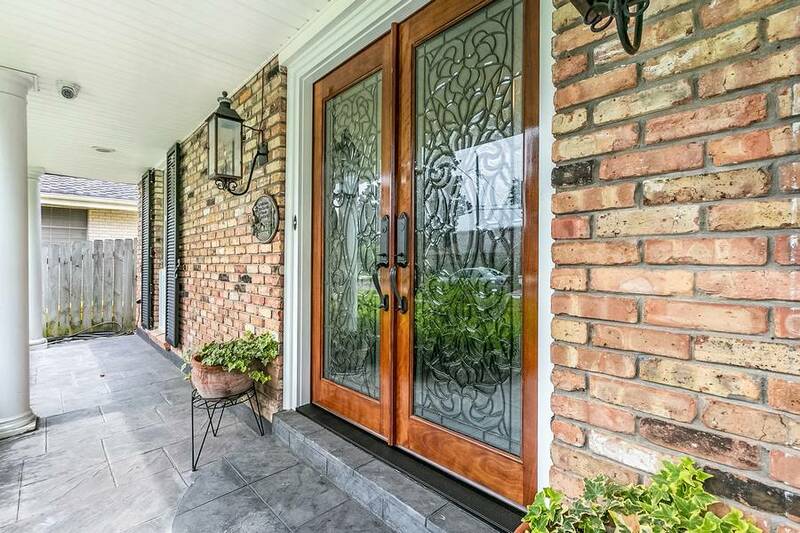 Request a free online estimate, give us a call at (504) 887-5440, or stop by our Metairie showroom to get ideas. 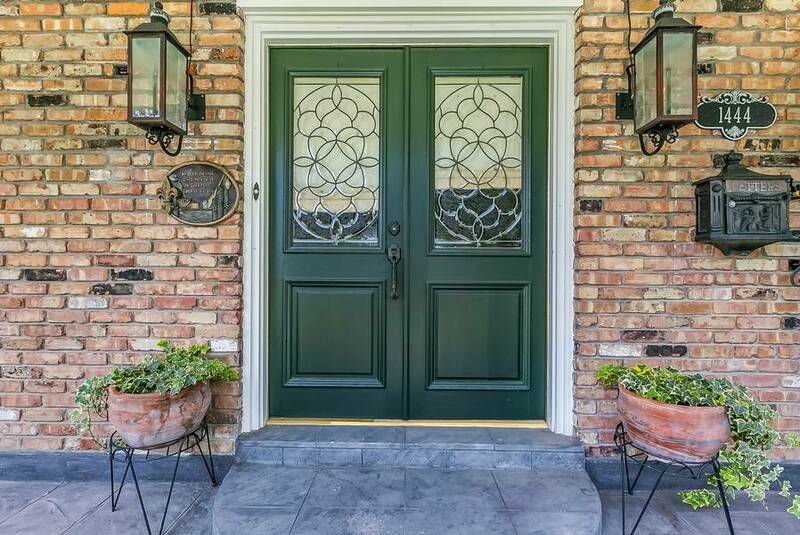 If you see a door you like, show us a picture on your phone and we can make it real!